Long-term memory impairment is reported in more than 50% of cardiac arrest survivors. Monosialoganglioside (GM1) provided neuroprotection in experimental models of stroke but failed to replicate its promise clinically for unknown reasons. GM1 stimulates the release of nerve growth factor (NGF), which is synthesized as a precursor protein (pro-NGF) that either mediates apoptosis through the p75 neurotrophin receptor (p75NTR) or is cleaved by the protease furin (FUR) to yield mature NGF, the latter supporting survival through tropomyosin kinase receptor (Trk). The flavanol epicatechin (EPI) inhibits p75NTR-mediated signaling and apoptosis by pro-NGF. The aim of the current work is to test whether these two drugs affect, or communicate with, each other in the setting of CNS injuries. Using the two-vessel occlusion model of global ischemia/reperfusion (I/R), we tested if pharmacological modulation of Trk, p75NTR, and NGF balance with GM1, EPI, and their combination, can correct the memory deficit that follows this insult. Finally, we tested if FUR insufficiency and/or p75NTR-mediated apoptosis negatively affect the neurotherapeutic effect of GM1. 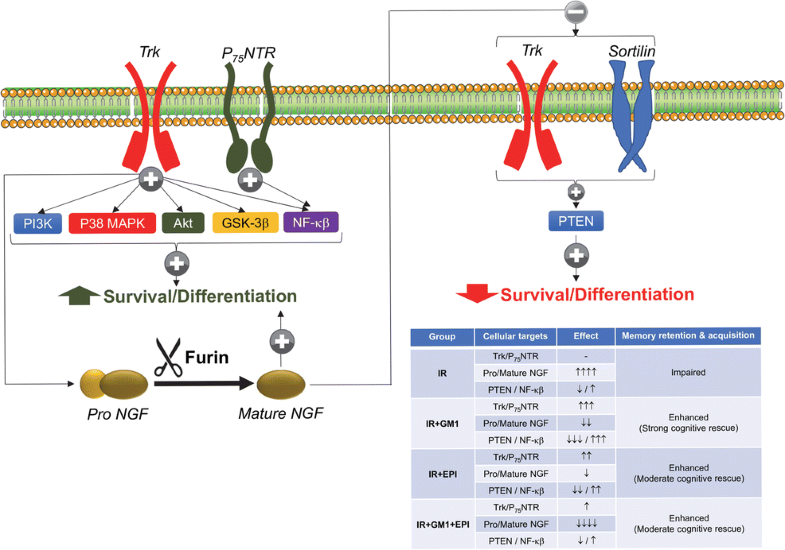 Key proteins for Trk and p75NTR, FUR, and both forms of NGF were assessed. All treatment regiments successfully improved spatial memory retention and acquisition. A week after the insult, most Trk and p75NTR proteins were normal, but pro/mature NGF ratio remained sharply elevated and was associated with the poorest memory performance. Pharmacological correction of this balance was achieved by reinforcing Trk and p75NTR signaling. GM1 increased FUR levels, while concomitant administration of EPI weakened GM1 effect on pro-survival Trk and p75NTR mediators. 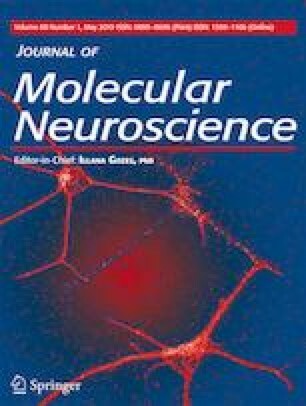 GM1 neuroprotection is therefore not limited by FUR but could be dependent on p75NTR. A.M.C. conceived the study. A.M.C. and H.S.E. jointly designed the experiments. A.M.C. performed the experiments. A.S.A. designed and supervised RT-PCR experiments. A.M.C. and A.S.A. jointly quantified and analyzed gene expression. A.M.C. and M.Y.A. isolated and preserved hippocampal tissue samples. A.M.C., M.Y.A., and H.S.E. performed the statistical analysis. A.M.C. and H.S.E. interpreted the data and wrote the article. M.Y.A. and A.S.A. provided technical support and reviewed the manuscript.